It can be hard enough to wake up knowing there’s a full day’s worth of work just waiting to be conquered. Add in the prospect of an early morning workout and the propensity to hit that snooze alarm is pretty likely to rise, right? If it’s time to beat that stay-in-bed mentality and fit a workout into your morning routine, there are ways to make the process a whole lot easier to get going. It’s not necessary to frontload the day with a huge workout that calls for an hour’s less sleep and for you to suffer that day and the following days. Results can be seen even with a fairly small sacrifice of morning time. You have to be smart and methodical. · Stake out a four-week time period to begin making that morning workout a habit. It normally takes all of us 3-4 weeks to create a long-term change. All you have to do is plan for the 1st month…this will create the change (habit) you are looking for. 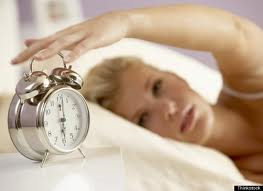 · Get in action by simply setting that alarm for 15 minutes earlier than normal. Yes, 15 minutes can provide a change to a healthier start of your day. Remember, initially your implementing small changes (tweaks) to create a new practice and behavior. · Once up, don’t bother with workout clothes. Just roll out of bed in pajamas or whatever, if necessary, and start doing anything physical. 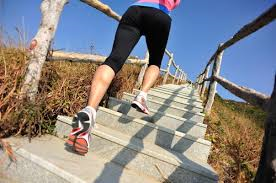 Running in place, walking, pushups, curl ups, climbing the stairs, dancing and moving your hips – they’ll all work. Put your favorite music on and get into it! · Perform your chosen exercises for 15 minutes and then go about your normal morning routines. You are creating your new pattern of success. By maximizing your time and making small but noticeable changes you will ultimately get what you want, but you have to make the 1st initial steps. · Vary workout routines: Exercise shouldn’t have to involve the exact same options day in and day out. Keep it fun by mixing things up. Do something cardio-related one morning (like jump roping) and then weight train the following day. Keep your body off balance and always adjusting. · Get some guidance: When working out for the very first time, it’s a good idea to consult with your doctor first and then an experienced and qualified personal trainer. Local fitness centers and gyms can recommend skilled professionals that can help tailor a workout plan that’s fun and effective for helping you in your goal specific areas. · Keep it fun: Working out doesn’t have to be a “chore.” In fact, exercise should be the exact opposite. Be sure to make it fun by taking part in activities that are personally enjoyable. An afternoon playing ball with friends or interacting and playing with your kids counts. You need to perk your interest and challenge yourself with whatever you decide. Fun and exciting workouts start here! nice sharing. morning is the best time to workout. thanks for sharing it. good one.